Imagine studying history and geography and actually remembering what you learned! Imagine that instead of boring lists of dates and locations, you could envision the actual places you studied. Sound too good to be true? It’s all possible with Pin It! Maps! When I discovered Pin It! Maps this past spring, I was immediately intrigued. The concept of sticking the correct flag pin into a foam-backed map made so much sense to me. 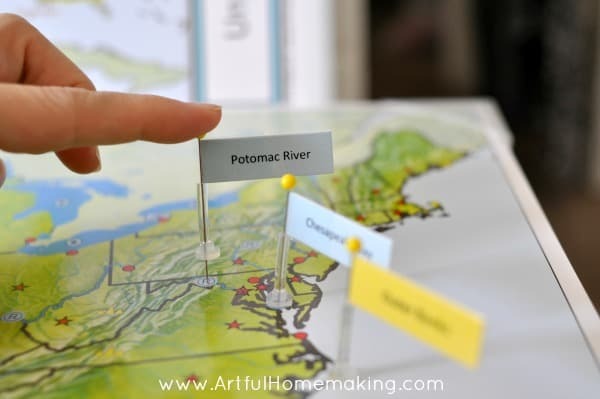 After receiving our first set of maps and getting them put together, I showed them to my kids. From oldest to youngest, they all loved them! 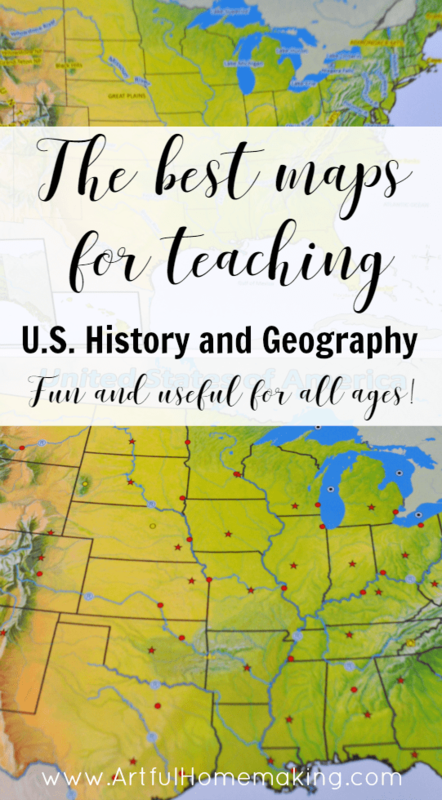 We recently finished putting together our U.S. History Bundle of maps, and now they’re all ready to use! 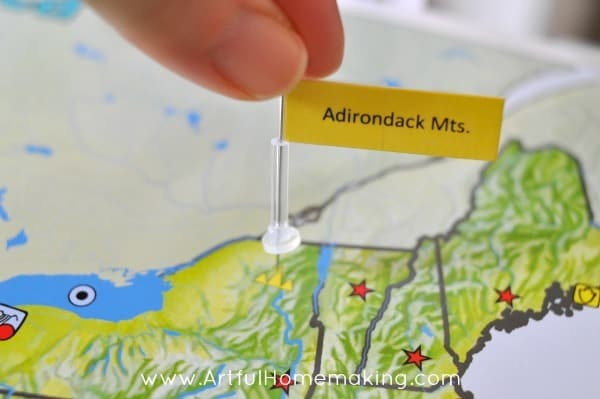 These maps do require some assembly, but they’re simple enough that my two younger children (ages 7 and 11) were able to help me put them together. You won’t believe how much is included in the USA and U.S. History Bundle! I was amazed at how thorough it is. 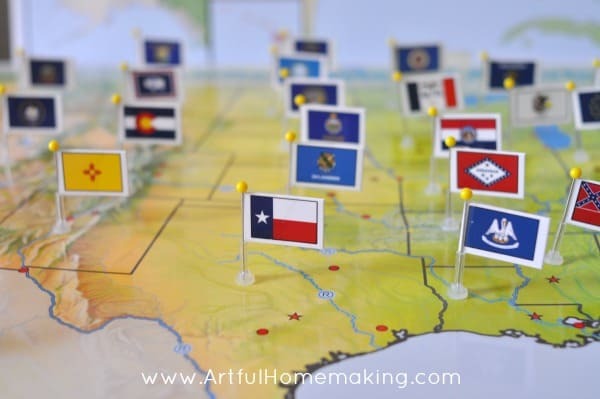 In addition to learning the name and location of each state, you’ll also learn capital cities, what each state’s flag looks like, and more! There’s a “land and water forms” map, 13 Colonies map, Civil War map, as well as maps for The French and Indian War, and The Revolutionary War. Pin It! 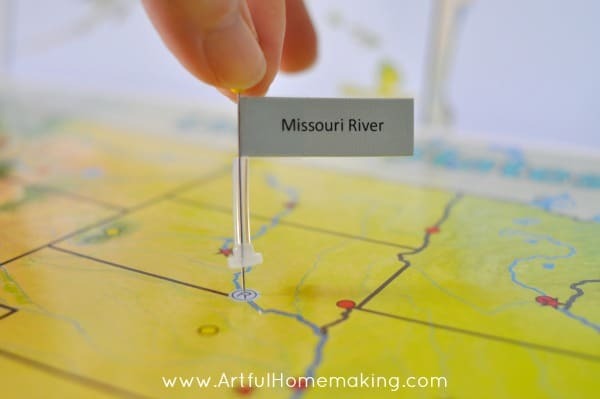 Maps are useful and enjoyable for all ages. Our children are 17, 15, 13, 11, and 7, and everyone can use and benefit from these maps! 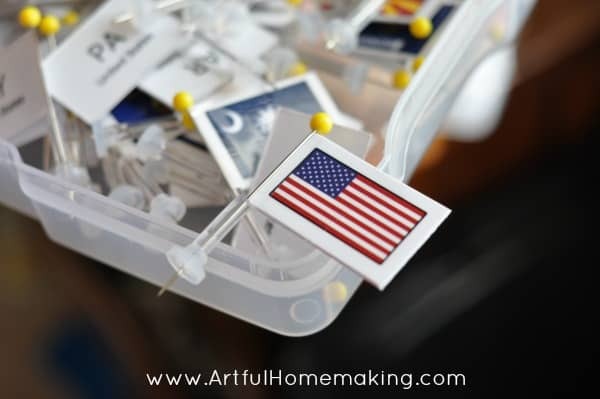 We set the labeled control maps on an easel so the child can use it to help identify where to put each flag. As they learn the locations, they can also test themselves by putting the flag pins in without looking at the control. They can use the control map to check their work when they’re done. 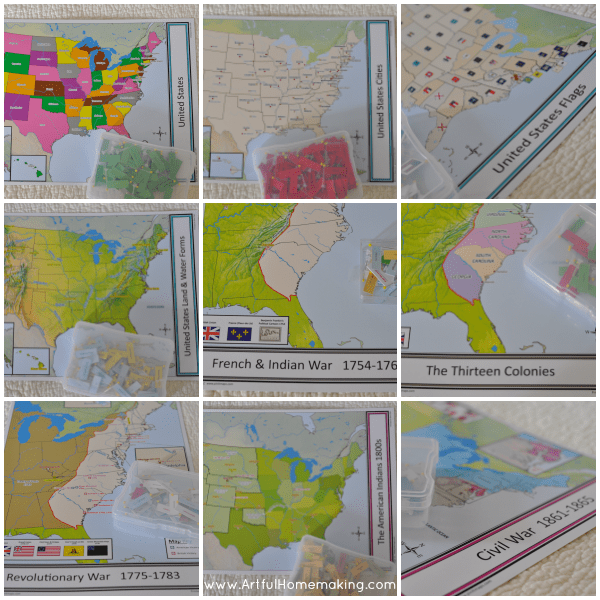 These maps are a wonderful independent learning activity! And I think every mom loves independent learning! Go here to check out everything Pin It! 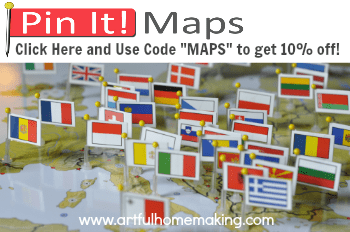 Maps has to offer! And, you can get 10% off your order when you use the code “MAPS” during checkout! Disclosure: This post contains affiliate links. I received free product for the purpose of this review. The opinions shared here are my own. Read my full disclosure here. This post shared here. This is fantastic!!! 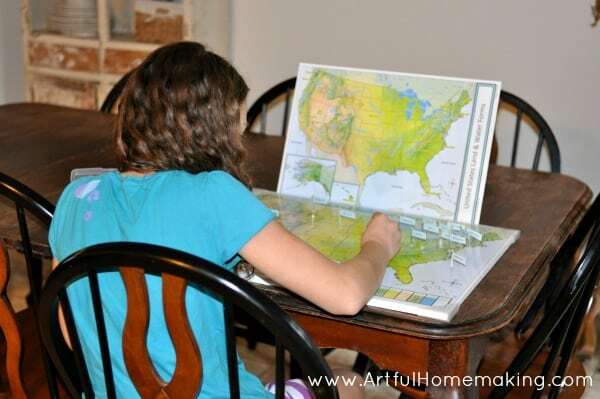 I think my 9 and 4 year old would really enjoy these maps! Wow, what great hands on learning!